Brussels, 17 September – A new Europe-wide study by EY, released Tuesday, shows the hospitality sector plays a critical role in fighting youth unemployment and is essential for jobs and growth and the health of other sectors. MEPs and the sectoral associations HOTREC and The Brewers of Europe call for more-supportive EU policies to boost the sector’s performance. 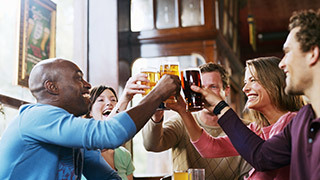 The EY study, backed by HOTREC and The Brewers, found that Europe’s hospitality sector in 2010 directly or indirectly created 1 trillion Euro in output, equal to 8.1% of the EU’s total economic output, and that the multiplier effect of €1 spent in the hospitality sector means another €1.16 invested in the wider economy. According to the study, which includes country-by-country reports, the sector in 2010 contributed 126 billion Euros to government treasuries in excise duties, Value Added Tax (VAT) and employment and social security taxes, and supported approximately 16.6 million EU jobs, or one in every 13 jobs. Any reduction in the hospitality sector would disproportionately affect Europe’s youth, as the sector provides many of Europe’s first-time jobs, the study said. The hospitality sector provided 29% more jobs in 2010 than in 2000, whereas in the wider economy during the same period, the total number of jobs increased by just 7.1% or less than 1% per year. HOTREC and The Brewers said the study supports their calls for a business-friendlier environment. “This shows why policymakers should carefully consider the impact of VAT rates and hospitality taxes, employment costs and material costs like excise duties on the hospitality sector. Non-restrictive legal and fiscal measures could have a huge impact in terms of facilitating long-term high-level performance of the hospitality sector,” commented Kent Nyström, President of HOTREC. EY is a global leader in assurance, tax, transaction and advisory services. Worldwide, our 167,000 people are united by our shared values and an unwavering commitment to quality. We make a difference by helping our people, our clients and our wider communities achieve their potential. For more than a half century The Brewers of Europe has been the Brussels-based voice of the European brewing sector towards the European institutions and international organisations. Founded in 1958, it has 29 members, comprising 25 national brewer associations from the EU, Croatia, Norway, Switzerland and Turkey. Among the roughly 4000 brewers across Europe, the vast majority are small and medium-sized, local and family-run businesses. 2 million jobs are created by the European brewing sector. HOTREC represents the hotel, restaurant and café industry at European level. This industry includes around 1,8 million businesses, of which 99% are small and medium sized enterprises (91% of them micro enterprises, i.e. employing fewer than 10 people). These businesses make up some 59% of industry value added. The hospitality industry provides some 10.2 million jobs in the EU alone. 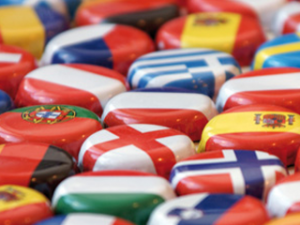 Together with the other tourism industries, the sector is one of the largest industries in Europe. HOTREC brings together 44 national associations representing the sector in 27 different European countries.